Apache Hive is data warehouse software designed on Hadoop. The software facilitates many functions like data analysis, large database management, and data summarization. You must install and take a Hive tour on your Ubuntu Linux. Pioneer hadoop development & integration consultants are sharing this tutorial to make you learn about the basics of Apache Hive and how to install it on Ubuntu Linux. They have mentioned the basic prerequisites you may need for installation. You can learn installing Hive step by step by following the guidelines shared by experts in this article. The Apache Hive is a data warehouse software built on top of Hadoop. Hive facilitates querying, data analysis, data summarization and managing large datasets residing in distributed storage (Usually HDFS and also compitable with Amazon S3 filesystem). Hive also provides a mechanism to project structure onto this data and query the data using a SQL-like language called HiveQL. HiveQL also allows traditional map/reduce programmers to plug in their custom mappers and reducers. Lines to be inserted in files. This tutorial has been tested using following environment. Hive uses Embedded apache Derby for storing metastore. If you want to use any other RDBMS for storing metastore server, you have to install that perticular RDBMS in your system or you shuold have URL of the RDBMS of your metastore server(in case of central metastore server). In order to install Hive, please follow the below steps. Step 1: Download Apache Hive & Extract it. Create directory using following command in /user/local (you can also use your desired location). Step 2: Edit ".bashrc" file to update environment variables for user. Add the following lines to the file, prefferably you have to add them at the end of file. Step 3: Create Hive directories within HDFS. Now, start hadoop if it is not already running. And make sure that it is running and it is not in safe mode. Step 4: Set Permissions for read/write on those folders. Now all the configurations are complete you can launch the hive consol. Now, your Hive is running, you can run hbase shell commands. You can exit from that Hive shell by using exit command. Note: Though Hive is compitable with most of the hadoop versions, you have to cross varify the compitibility of hadoop and hive before installing hive. You can also change your hive site or metastore server location by editing “hive-site.xml" file in “/conf" folder of your hive installtion. 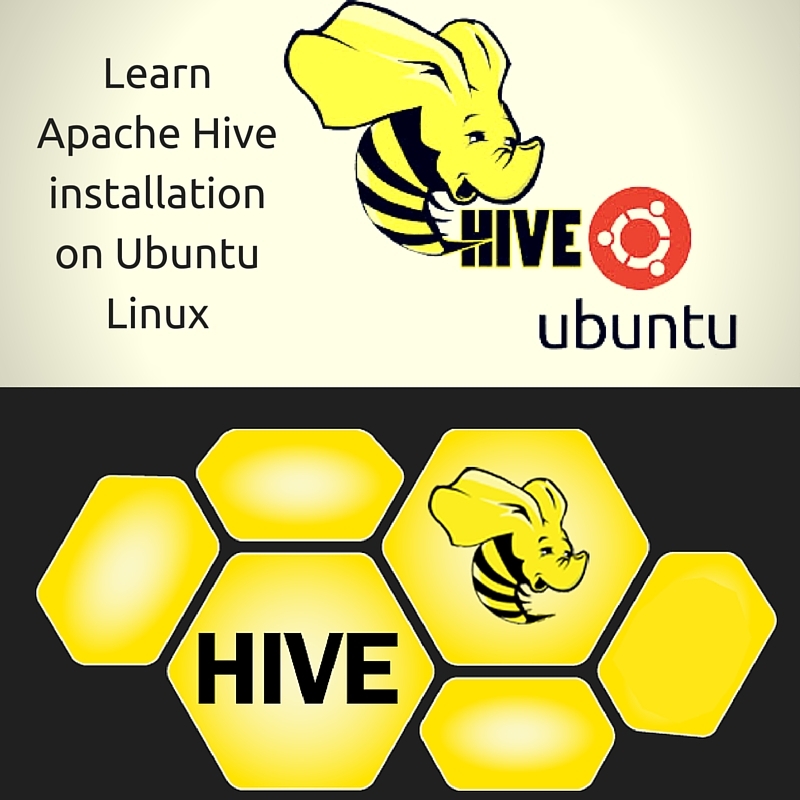 Hope you get the idea of installing Hive on Ubuntu Linux. You can approach hadoop consultants to ask and clear your doubts about the software. To get more info related to hadoop development, you can stay in touch with us! Hope, you can easily install and enjoy hive elearning.